Artist and graphic designer Eric Lacombe returns to Artevistas Gallery this month, filling the walls of the gallery with his army of tortured souls in his new exhibition GA 2.0., opening on October 8th at 8pm. 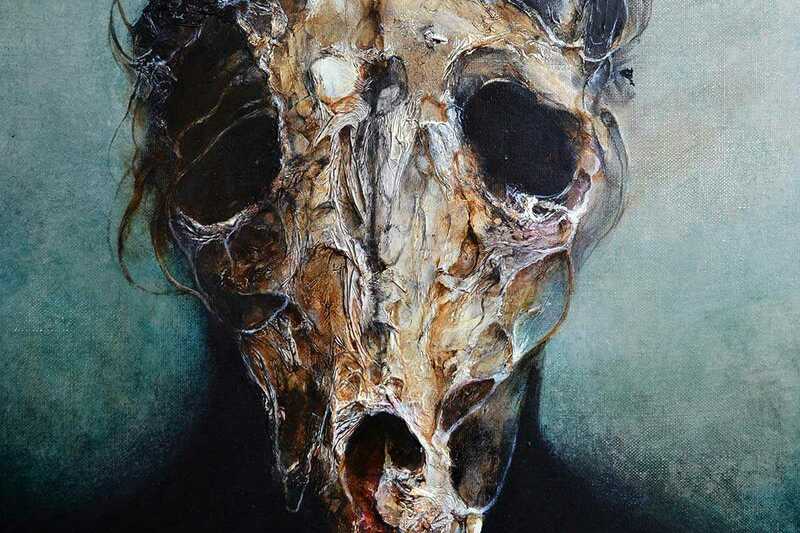 Created in mixed media with somber colors, delicate lines and visceral textures, these sinister, ghoulish works give an insight into the darker side of humanity. We see disfigured faces, emaciated bodies, hideous bird-creatures and even spectral comic book heroes, caught in silent screams or staring through deadened eyes from the depths of their existential torment. Based in Lyon, France, self-taught Lacombe has a remarkable talent for balancing the romantic and the grotesque, the sublime and the terrifying. No matter how monstrous they may appear, his creations always have a human side, making this fantastical collection as heartbreaking as it is horrifying.